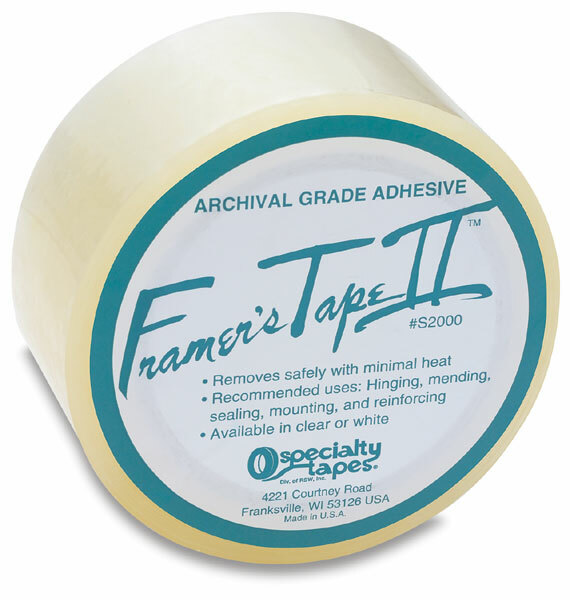 Archival-grade, self-adhesive tape, stronger and thinner than linen or paper tape. Moisture proof, non-porous film backing remains stable. Reverse with heat, leaving article in its original state. No plasticizers. ™Framer's Tape II is a trademark of Specialty Tapes.